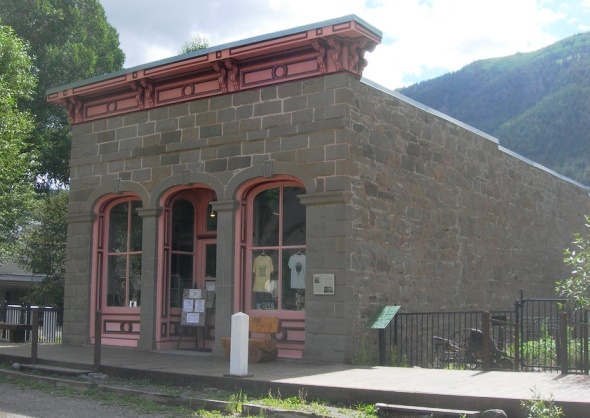 The Hinsdale County Museum is located in the stone, one-story Finley Block Building from 1877 and features exhibits about the mining history and minerals of the Lake City area, plus a blacksmith’s shop and historic transportation equipment. The highlights of the museum for many visitors, however, are from the Alferd Packer collection. Packer was accused of killing and robbing a party of prospectors in the winter of 1874, and there reportedly were signs of cannibalism. The museum’s collection includes the ankle shackles used to restrain Packer when he was jailed in Lake City in 1883, an ornate pendulum clock from the courthouse that was mentioned by the judge during Packer’s trial, and a wooden prototype of the gallows planned for Packer’s execution before his death penalty was overturned on appeal. The museum also offers walking tours of the historic buildings in Lake City. It is open from late May until early September.